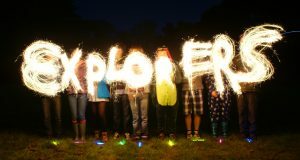 Explorers are the fourth section of the Scouting family after Beavers, Cubs and Scouts. Explorers will develop core life skills whilst in the section, these skills will help in later life. These skills include team building and leadership. Not all Units meet every week, partly due to activities, holidays, exams and the other commitments that crop up in a teenager’s life, and also because Explorers tend to get out and about at weekends more often than other sections. The district have One Explorer unit that meet at various places across the district.